Canopies on commercial buildings provide occupants cover from the elements. Perhaps the most common use of canopies is for gas stations. Canopies can also be found in other commercial applications such as hotels, hospitals, and banks. Adequate illumination is important for many commercial applications using canopies. 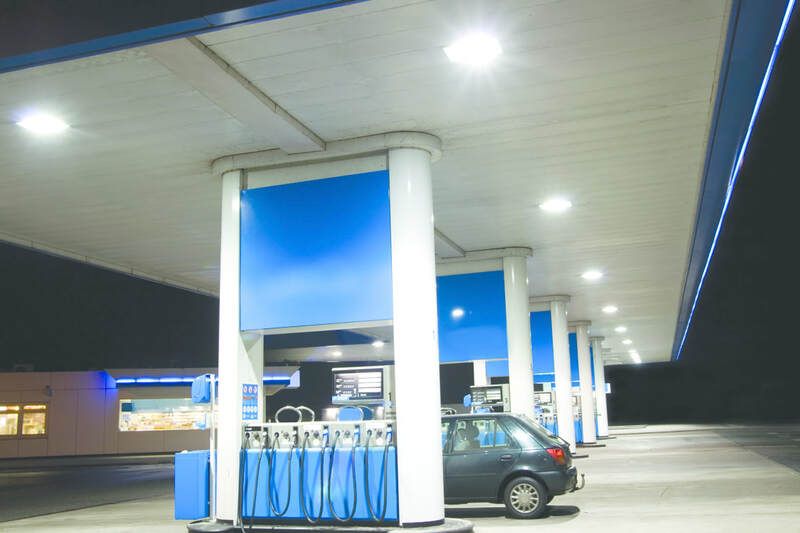 For Gas Stations, the level of illumination around the gas pumps can be the difference between customers stopping in the middle of the night or driving to their competitors. Banks must ensure a bright, well-lit area around their ATMs for the safety of their customers at night. There is a wide range of canopy lights installed for many different applications. Most commonly, canopy fixtures utilize an HID light source such as metal halide or high-pressure sodium lamps. HyLite's series of retrofit lamps can retrofit these canopy fixtures to provide building owners and facility managers with the right level of illumination at the lowest total cost of ownership. 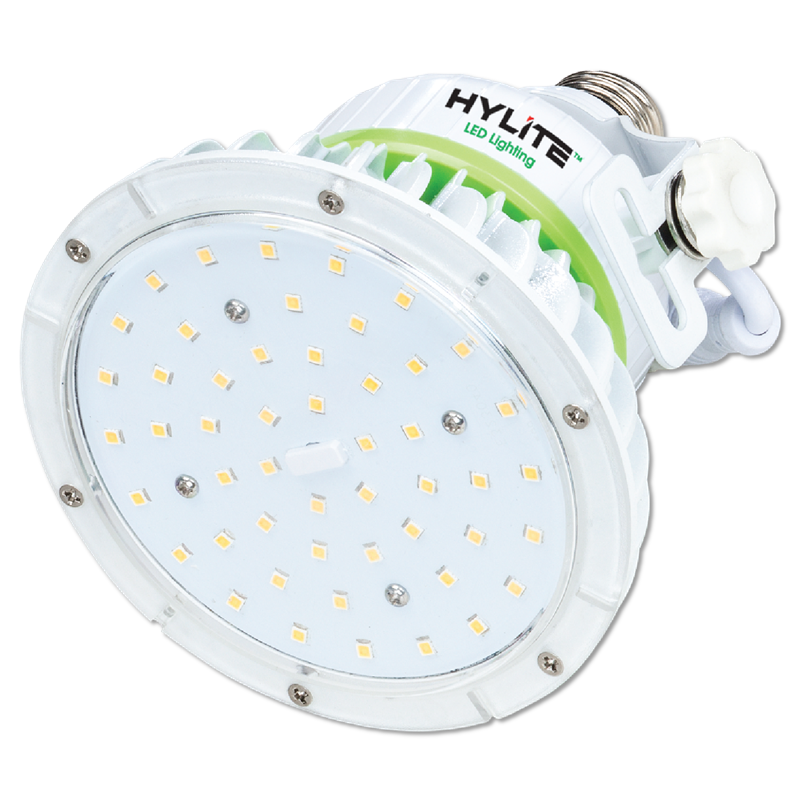 The HyLite LED Lotus lamp provides directional illumination with 140 lumens per watt and an optimal 120° beam angle. The HyLite Lotus features a 180° adjustable mounting arm making it ideal for both vertical and horizontally mounted positions. 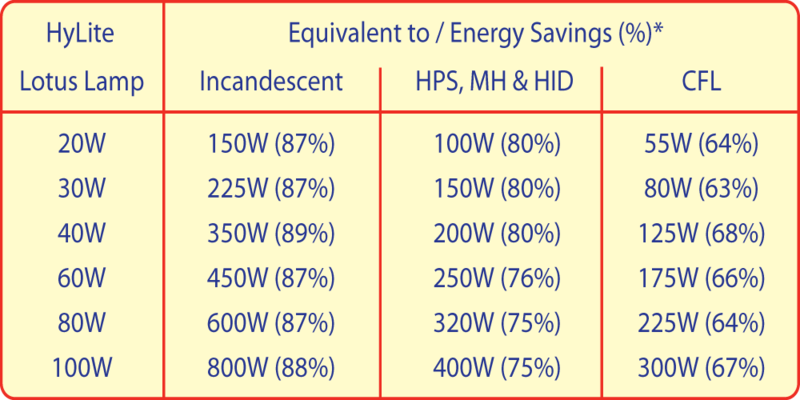 More Information on the HyLite LED Lotus Lamp. The HyLite LED Arc-Cob features an optimal 120° beam angle providing high-efficiency illumination for canopy applications. The directional beam angle minimizes the amount of light trapped inside the fixture and increases the illumination around the area. 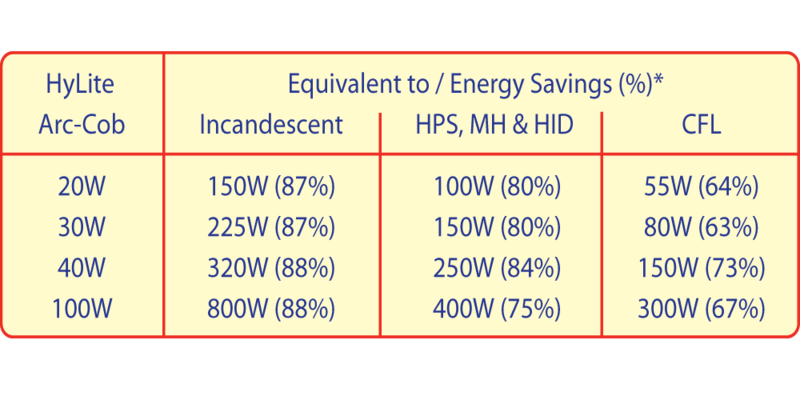 Rated for up to 60,000 hours of life, the HyLite LED Arc-Coblamp lasts 3 to 5 times longer than HID/MH/HPS light sources greatly minimizing maintenance costs. 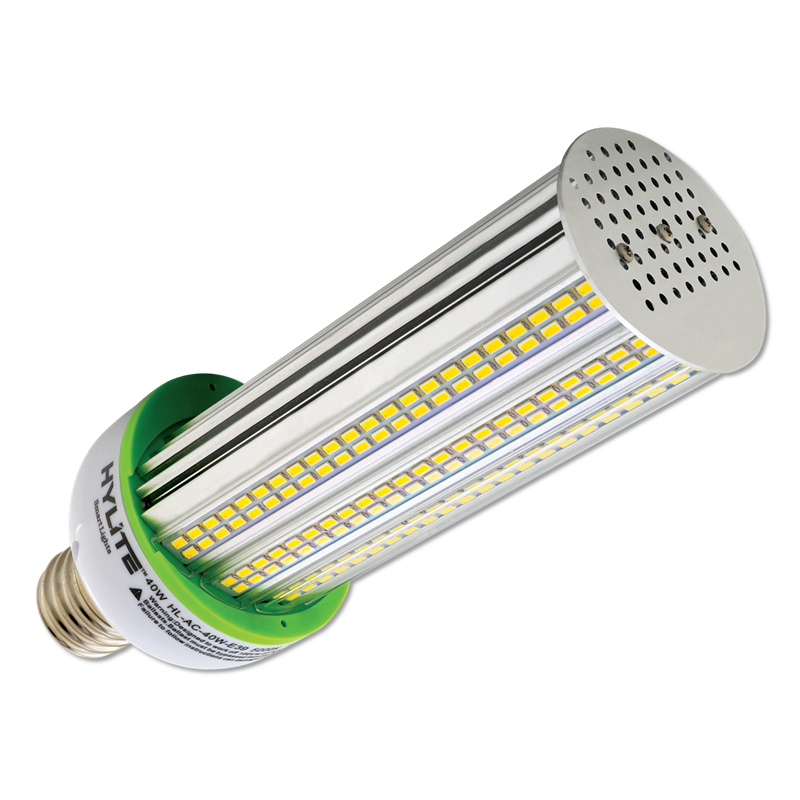 More information on the HyLite LED Arc-Cob.